The original hobbit race in OD&D (if limited to the rules from the 3 LBBs) is objectively less powerful and has less potential (in terms of game mechanics) than other races. Hobbits can only be fighting-men and are limited to fourth level. 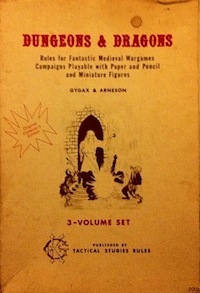 Their only benefits were: “magic-resistance equal to dwarves (add four levels for saving throws), and they will have deadly accuracy with missiles as detailed in CHAINMAIL” (Men & Magic page 8). What I have gathered from reading various bits online is that Gary likely added hobbits for players who wished to emulate Tolkien (though please take this as hearsay). Having hobbits be weaker actually fit the source material (hobbits as humble if diligent creatures), and there was no particular desire to balance classes back then (especially since parties would often be of mixed level anyways). Thus, one can think of playing a hobbit as “hard mode” D&D. Bilbo was described as a burglar, but he was nothing like the inspirations for the original thief class (the Gray Mouser or Cugel). Frodo even less so. Despite that, in Supplement I: Greyhawk, Hobbits were allowed unlimited progression in the thief class. From there, the thief evolved into the ninja-like rogue class and the halfling race (due to several mechanical benefits) was often considered the best choice for a rogue. The PC in my current 4E hack game that consistently does the most damage is a halfling rogue. Now, I love ninjas as much as the next guy, but that archetype is not generally what I associate with halflings. 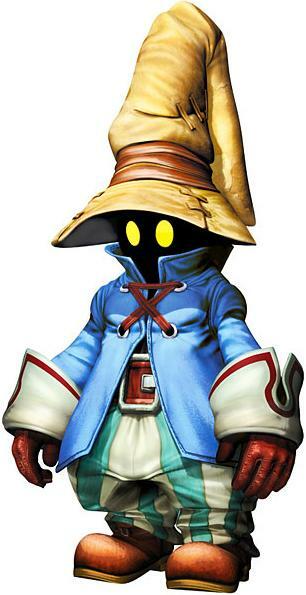 For another take, Final Fantasy did the “cute little guy” in a way would also work pretty well as a tabletop RPG character: the black mage. I know halflings are described as not making very good wizards in most settings, but maybe this would be an interesting fact to change (or allow PCs to play against type). It does seem like magic might be a natural fit for an ambitious halfling that wanted to make it in a world full of tall people. This entry was posted in Uncategorized on May 7, 2012 by Necropraxis. 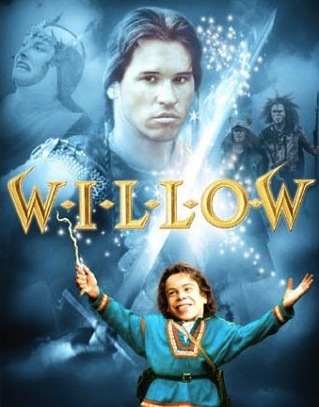 I could see halflings as sort of bumbling mages, like Willow. 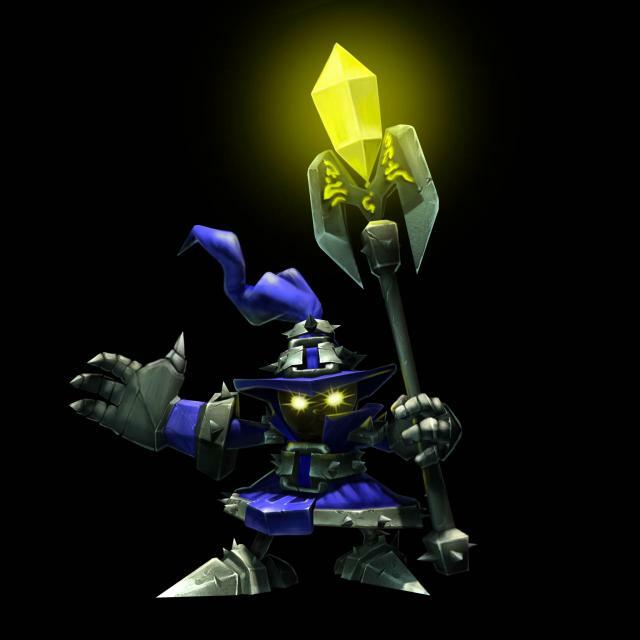 After many years of trail and error, they can overcome it, like the elder mage of the tribe that Willow wanted to emulate. 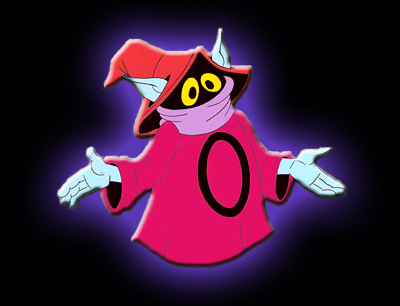 When I read “Halfling Magic-Users”, the first thing I thought of was Willow, too. Yeah, that’s another good example. Added another picture. I should watch that movie again. IMHO 3LBB halflings are not so weak: a L4 halfling can stand (thanks to his STs) pretty the same challenges a L6 Fighting Man could. A good example of halfling wizard could be Yoda from Star Wars: I mean, movies show him as an Elf but if you forget the fighting stuff he could be a nice example. In my 3LBB campaign (a personally hacked version of Swords & Wizardry I’ve called Ruins & Radiations) halflings replaced elves as tree friends. Halfling society worship ancestors, and they can have both clerics and wizards. Halfling wizards are the same classic wizards, but with a more druidic twist and with different spellbooks: not the usual book with a leather cover, but rune carved leaves where they write their spells on (to memorize daily spells they usually meditate surrounded by all these leaves). It’s true that I probably undervalue the saving throw bonuses, but even then wouldn’t the dwarf be strictly better? Also, even allowing for that, saves are still only defensive. That’s a pretty nice set of house rules. Thanks for the link. Interesting. Thanks for the link. I just spent way too much time surfing through some of Gary’s other responses. One of these days, I should go and read some of the long interview forum threads from beginning to end. I’ve only dipped in here and there due to their size. Since I only started gaming again last year, I still feel like I am catching up on all the fantastic web material that was generated after 2000. I know how you feel, same situation for me a few years ago, and I am still finding new stuff that I never knew about.